Act now and save 20% off select kits from Eyelash Emporium. 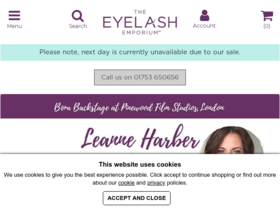 Enjoy free delivery today when you spend £100 or more at Eyelash Emporium. Save up to 75% off sale at EyelashEmporium.com. Check out Eyelash Emporium online for their latest special offers.